Unless you’ve been living under a rock for the past few years, you probably know that products like CBD tinctures, which contain very little or no THC, have grown immensely in popularity. And for good reason. These liquid cbd drops have been proven (anecdotally, for now) to stop seizures & tremors in their tracks, and have garnered widespread media attention for that reason. Indeed, cannabis oil tinctures produce zero psychoactive effects (that’s caused by THC, not CBD) and thus present an incredible new alternative to addictive prescription medications with countless side effects. Plus it doesn’t attract the vicious aggression of anti-cannabis zealots seeking to demonize cannabis. CBD meds offer hundreds of thousands of Americans powerful relief from a host of ailments without the drowsy or stoned feelings, making them more attractive to children, old folks, and anyone who wants its medical benefits without the associated high. 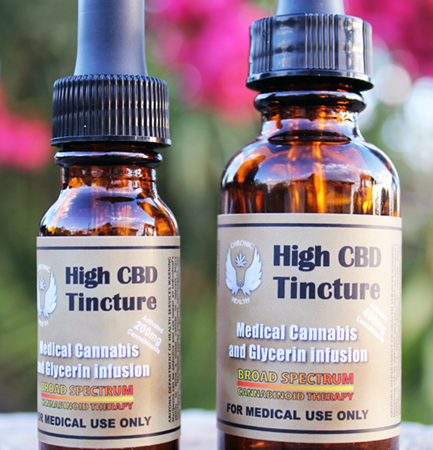 Tinctures allow you to take an effective cannabis dose accurately, quickly, and conveniently. This way might be relatively unfamiliar to typical cannabis users, but if you keep reading you’ll discover everything you need to know about this awesome liquid medicine. What Are Cannabis Tinctures Used For? How Do You Make a CBD Tincture at Home? What Are Some Popular CBD Tinctures You Can Buy? Where Can You Buy These Types of Products? A tincture is a medical solution made from dissolving cannabis in alcohol. Most cannabis tincture products usually come in a half ounce bottle along with a dropper for easy dosing. Most cannabidiol tinctures contain 10% to 25% CBD, a much stronger concentration than you’ll find in any marijuana strain (with a few exceptions). You might be wondering, how long does a tincture take to kick in? A few drops will elevate your mood without altering your mind in 30-90 minutes. 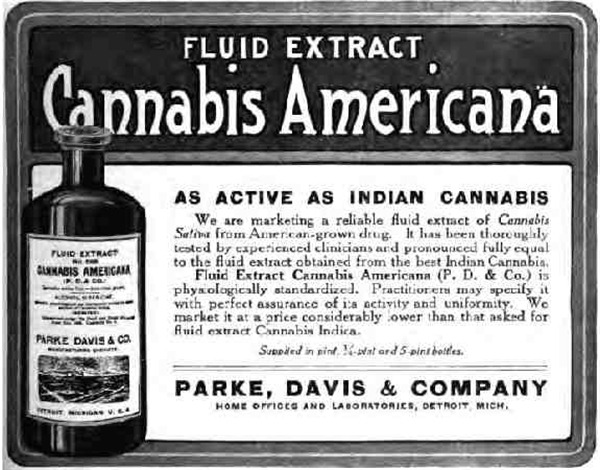 Cannabis tinctures have been around for more than a hundred years. In fact, it was prominently featured in the United States Pharmacopoeia as a painkiller and sedative until 1942 when it was declared a menace to society by Reefer Madness-fueled U.S. lawmakers who feared recreational marijuana would destroy America. But politicians aren’t entirely to blame. After all, they were simply following in the footsteps of one Mr. William Randolph Hearst, who in the 1930’s feared hemp would pose a severe threat to his paper and timber companies and waged (successfully) war on anything that had to do with the plant. Naturally, that included cannabis, which is derived from the same plant. As an aside, hemp is stronger, more durable, fire-resistant, more flexible, and a multitude of other factors better than timber or even steel. Some would argue that hemp should have rightfully become the primary building block of America’s modern industrial society, but instead it’s still outlawed to this day. However, by the 1980’s, interest in marijuana tinctures rekindled as scientists and pharmaceutical companies began to recognize their incredible healing properties. Unfortunately, the first official marijuana extract prescription pill, Marinol, failed miserably—mainly because it contained only THC extracts and no CBD. Its manufacturers realized that cannabidiol played a far greater role than previously thought in releasing cannabis’ medicinal properties, especially when combined with THC. This phenomenon — that THC combined with CBD produces a more holistic remedy — is known as the “entourage effect,” and can be observed throughout the world of medicine, in which healing agents magnify one another’s effects. What Are CBD Tinctures Used For? What Is a CBD Tincture Made From? Over the past two decades, medical marijuana breeders have concentrated on growing the sticky-icky THC-rich strains most patients crave while letting CBD-specific products fall by the wayside. As a result, many of today’s marijuana strains contain less than 1% CBD, so if you want the same benefits a CBD tincture provides from a cannabis flower strain, you’ll have to smoke a whole lot of it. Cannatonic: one of the most popular and most medicinal CBD-rich strains, it’s 6.5% CBD by weight and has a 1:1 CBD:THC ratio. Harlequin: with a ratio of 5:2 CBD:THC it gives you a mild sativa-dominant alertness but no real buzz. Sweet and Sour Widow: equal amounts of CBD and THC, the perfect introduction to new medical marijuana patients. Stephen Hawking Kush: offers the best of both worlds with indica-dominant cerebral effects and CBD’s stress-relieving capabilities. Sour Tsunami: created by marijuana activist, grower and CBD pioneer Lawrence Ringo, this high CBD tincture has redefined the parameters of medical marijuana. AC/DC: boasts a whopping 20:1 CBD:THC ratio for maximum pain and stress relief with just a hint of THC. Charlotte’s Web: a strain now famous for helping Charlotte Figi, a then 3-year old child fight her epileptic seizures. Lesser-known strains have tested as high as 18% and generally have a 3:2 CBD:THC ratio. Next to injection (which isn’t a common consumption method), sublingual cannabis tincture is hands down the fastest way to get the medicine into your system. Absorbed through the veins under the tongue, it enters the bloodstream by bypassing the stomach and digestive system, making it purer and more potent. 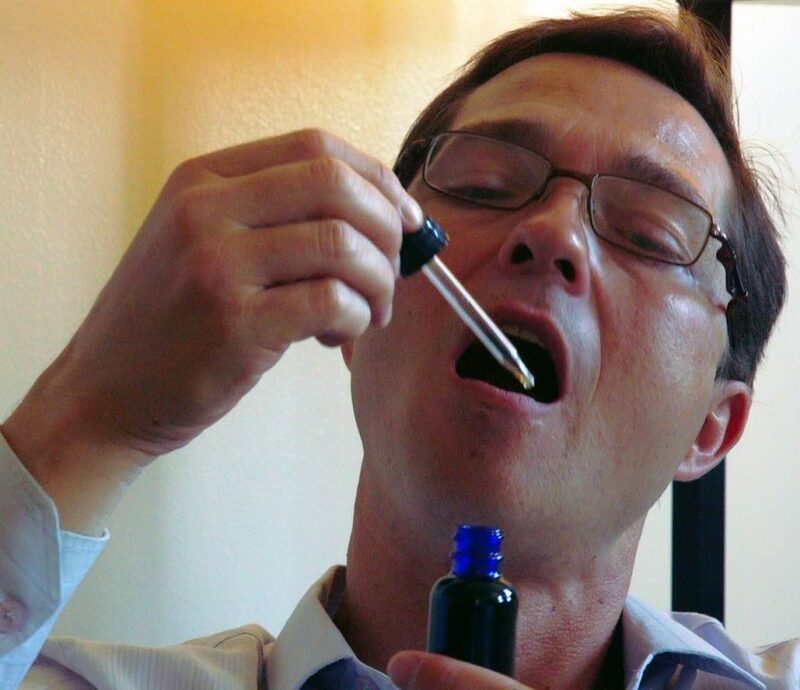 Squeeze a 2-4 cannabidiol drops under your tongue with an eyedropper according to your recommended dosage. Slosh it around with your tongue a few times and take several very deep breaths through your nose. Swallow after about 30 seconds. Despite containing very little THC, tinctures can make you very relaxed and sleepy, so don’t plan on driving or doing anything important until you understand the its full effects. In addition to your favorite food, CBD drops can be used in any condiment, cocktail or candy you can dream up. Mix with your salad dressing for extra zest, dissolve a dash in a Hot Toddy to get through a cold winter’s night, or drizzle a few drops on ice cream to make your day at the beach more enjoyable. The combinations are practically endless. Medically speaking, the basic differences are that THC acts as an analgesic (pain killer), anti-emetic (anti-vomiting), and anti-inflammatory agent, while CBD exhibits anti-psychotic, anti-seizure and anti-anxiety properties. 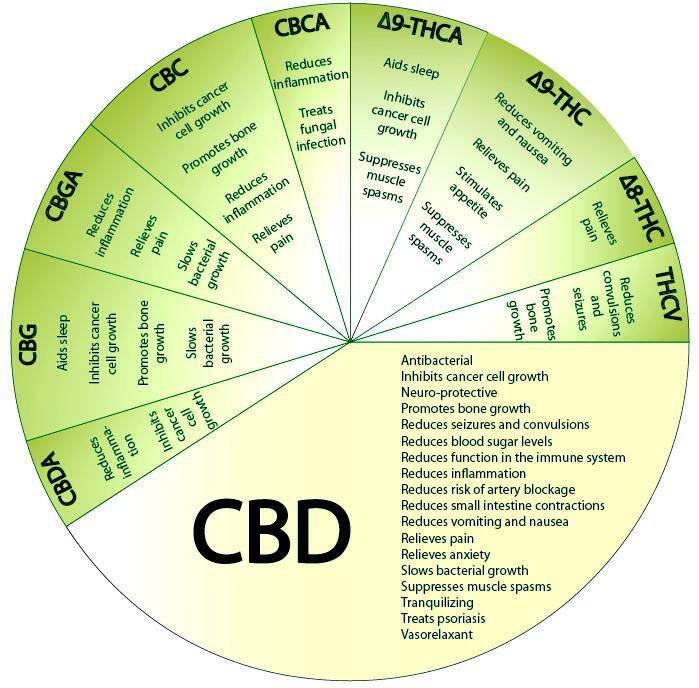 Best of all, CBD seems to counter the negative effects of THC. 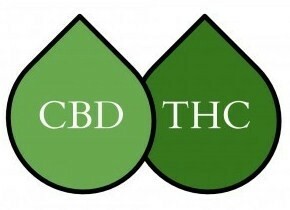 In clinical research trials CBD has proven to increase relaxation, thereby reducing the paranoia sometimes associated with large doses of THC; its effect on the lungs can counter the ill-effects of smoking; and CBD also suppresses appetite, counterbalancing the “munchies” brought on by THC. Granted, much of what we know about CBD has yet to be confirmed by extensive medical research, since both THC and CBD remain Schedule I drugs according to federal law (you can thank our buddy Randolph Hearst for that). People have long argued that tinctures extracted from marijuana plants are far superior to those of hemp plants—but that was before CBD’s significance was recognized by the medical community. With all we now know about its properties, extraction methods and cannabinoid ratios, hemp tinctures are holding their own. Fundamentally, marijuana and hemp are both cannabis plants containing the same cannabinoids, just in different ratios and quantities. Hemp contains only negligible amounts of THC, while some marijuana has upwards of 30% THC. Hemp CBD, on the other hand, can be just as potent as marijuana CBD when properly extracted. It does require a lot more hemp, processing and money to produce the same amount as cannabis-dervied CBD, so the former is naturally more expensive. Currently only a handful of companies, most notably Real Scientific Hemp Oil (RHSO), manufacture it by utilizing U.S. grown hemp (as opposed to Chinese hemp) and supercritical fluid extraction methods to yield more powerful and cleaner CBD extracts. Buyers should beware of online retailers claiming to sell & ship quality CBD products. In fact, most of these sellers produce a very mild form of hemp-derived CBD (without the crucial extraction process mentioned above), and thus are essentially selling incredibly high-priced dietary supplements with negligible (if any) benefit to the user. There are several ways to make your own CBD tincture, but almost all of them involve high-proof alcohol and/or a crock-pot, which seem like a recipe for disaster. Instead, we’d like to present our own proprietary high-quality, alcohol-free tincture recipe. Wait, isn’t alcohol in the very basis of tincture? Yes, it’s always been the standard solvent, mainly because it’s an excellent cannabinoid extractor. However, pure alcohol like Everclear is expensive, highly flammable, and not everyone’s cup of tea. It’s 2017, and there’s a new solvent you can, and should, use—glycerin, a common food ingredient that’s 100% safe to consume (unless you’re vaporizing it in high temperature, that’s a whole other topic of debate). You can buy it on Amazon or at Wal-Mart and won’t need more than an 8 ounce bottle. We’ll use cold maceration (extraction) since it preserves the terpenes and the integrity of the flower. Plus, glycerin’s sweet flavor makes it the perfect additive for baked goods and other sweets; it even tastes like a kiddie treat when ingested! Admittedly, a glycerin tincture is slightly less concentrated than the traditional alcohol-based one, but taking a slightly larger dose will get you to the same place. Grind at least 1 oz your high-CBD flower shake and nugs (kief optional) as finely as possible using a blender or coffee grinder, depending on the amount. Put your powdered cannabis and the glycerin into a glass jar, preferably a mason, and seal tightly. Position the jar on a window sill, constantly exposing it to sunlight, and let it marinate for 4-5 weeks (the longer the better). Once a day shake it to stimulate the cannabinoids. After the given time has passed, strain the tincture through a sieve or cheesecloth to remove the extracted cannabis. Don’t use a paper coffee filter. Finally pour the tincture into a dropper bottle, keep it refrigerated, and you’re good to go! While it does take a long time to make, it’ll be worth the wait as this glycerin cannabis tincture is rich in terpenes, taste, and healing power. But what if you don’t want wait a month to try a high-quality CBD tincture? 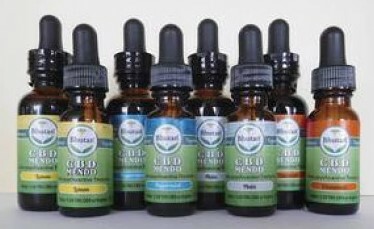 Bhutan’s Mendo CBD tinctures are derived from the Emerald Triangle’s richest CBD strains. Inside each bottle is a massive 20:1 CBD:THC mixture that’ll stop or calm almost any pain, plus give you the focus and drive needed to conquer your day. Available in original, lemon, peppermint and cinnamon flavors. Need more balance? Try their then Mendo Focus 1:1 CBD: THC tincture for a more even-keeled cannabis buzz. 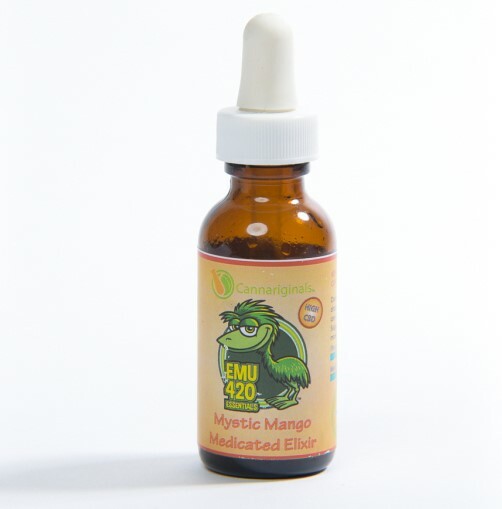 The company’s 420 EMU Essentials line offers a unique tincture called Mystic Mango Medicated Elixir that infuses light, fruity taste with a mammoth 280 milligrams of CBD (2:1 CBD:THC) in an all-natural, grade A emu oil to sooth any internal or external condition. Contains no sugar, fat or gluten. These infused Arizona elixirs come in two formulas: High CBD Glycerin Tincture and Glycerin Tincture, which has a balanced CBD:THC ratio. Both are vegetable-based and available in half-ounce (200mg) and one ounce (400mg) bottles. The only problem is the company doesn’t specify the amounts of CBD and THC in each. Recognized more for their popular edibles and drinkables, this Los Angeles company also creates indica, sativa, and CBD oil and alcohol based tinctures. 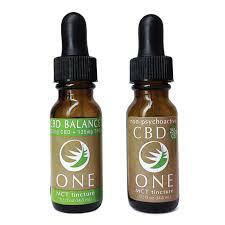 CBD One (250mg) is purely CBD and CBD Balance One (125mg) contains equal parts CBD to THC. Both are sugar and gluten free. Where are these CBD tinctures for sale? They’re not available in every dispensary/collective, so you’ll probably need to do some research to find them around you, or just let Nugg and our sister site, NuggMD do everything for you. 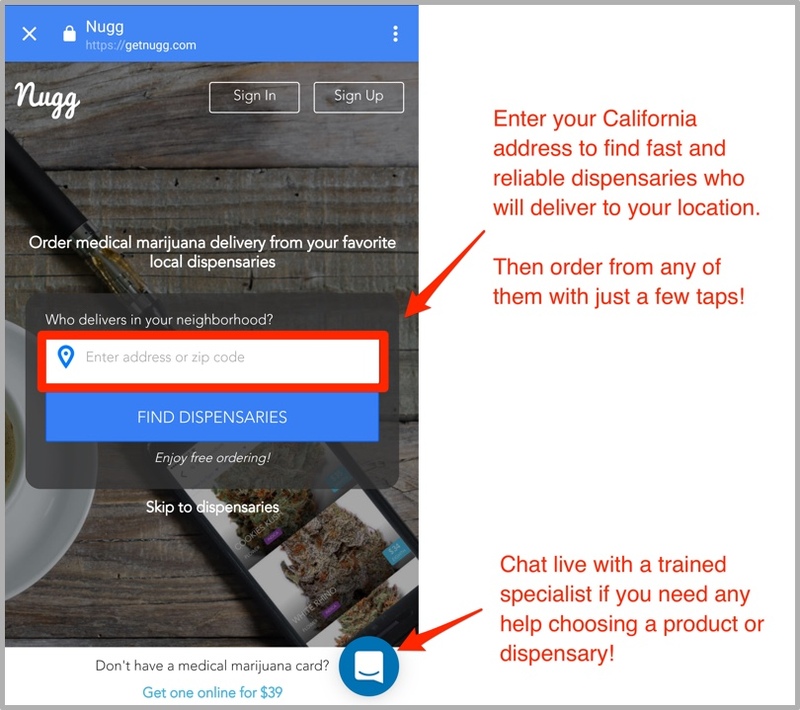 We can provide safe and secure access to a medical marijuana card (100% online) and delivery services offering CBD tinctures, hot marijuana strains, potent edibles, and high quality CBD products from a network of the top dispensaries and growers throughout California. And when you get your doctor’s recommendation through us, you’ll receive a $20 credit on your first delivery order! Medical marijuana is legal in Massachusetts now. Can any of these products be purchased? Also, I am looking for a high CBD concentrate to make a balm / lotion for my skin. I haven’t any idea what ratio to use (CBD to lotion). I have lymphoma that makes my skin break out in an itch and this is the only thing that relieves it. Currently these CBD products are only available in California and Arizona, but you can legally purchase hemp based CBD products. This company has some great topicals https://marysnutritionals.com/shop/. Have you found any CBD concentrates in your home state?